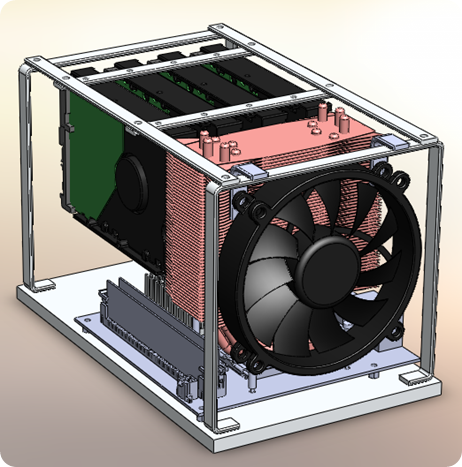 A custom Windows Home Server build has been on my to-do list since this summer, and I recently put together a SolidWorks model of the components in configuration that I think would work pretty well. Below is an internal view of the components. mushkin 240-Pin DDR2 SDRAM DDR2 800 (PC2 6400) (Model 996533) (QTY: 2 x 1GB) It looks like these do not work well with the DQ45EK+WHS combination. (Blue screens galore). The Thermalright True Copper heatsink is a little hard to come by, but hopefully I’ll have all the hardware by the second week of 2009. I can’t wait to get this up and running.